For too many reasons, 2017 was a hard year on people, but in the end, humanity fought back: women marched, sports figures knelt, companies broke with long-time advertising clients and instead produced their own messages of hope and solidarity, some even ousted CEOs. People gave big, people gave small, people made their voices heard louder than ever and set the tone for 2018. People everywhere make a difference with small. Just knowing about the small things that people do everyday can get us all back to ‘feeling better’ after a challenging year. Feeling ready. Feeling humanity. So we thought: what better way to celebrate small, and cheer that along. Hence #gohumanity2018. This inclusive campaign is for all to discover and collaborate. 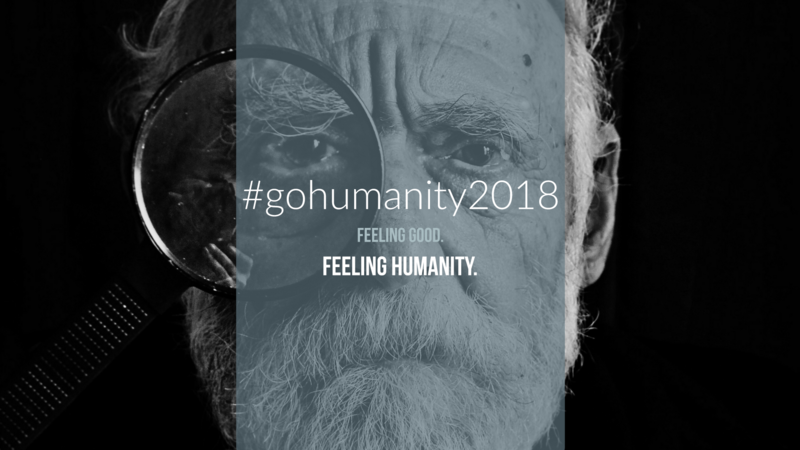 #gohumanity2018 encourages the sharing of visuals, conversations, acts of kindness, articles and videos that move the soul; that remind us that humanity is alive. And vibrant. And amazing. And that however small the effort, everyone can and does contribute to feeling humanity’s presence. Over the next twelve months, Designing North Studios will use #gohumanity2018 to bring awareness to the small efforts that sometimes go unnoticed, but illustrate our fundamental desire to connect with one another, to feel better, to be human. It’s a chance for ordinary people to be celebrated for small and a reminder to everyone that we don’t need extraordinary to feel humanity. 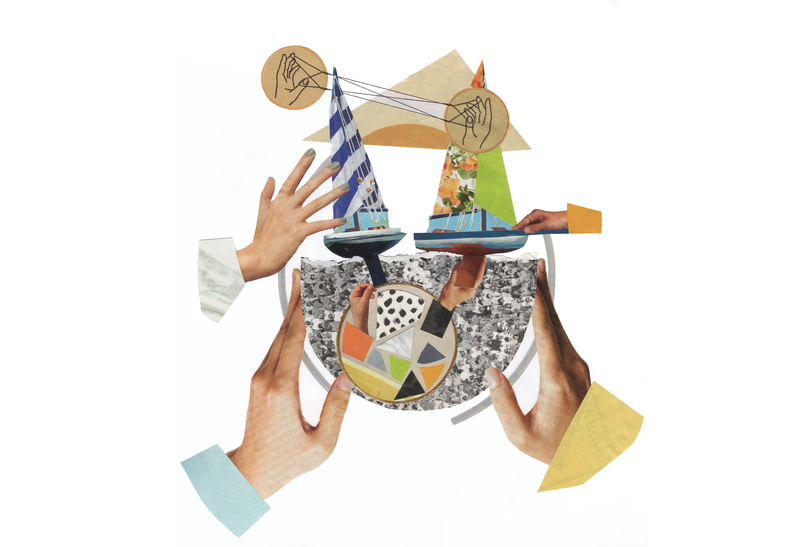 Artist Inspiration -- Carly Clements: A focus on hands; lending a helping hand, working together, and finding a balance as people navigate and adjust through life's movements. The cuffs on the larger outside hands represent the different working classes of people within society -- be it blue collar, white collar, etc. Most importantly, the combined elements represent togetherness, reinforcing the belief that we are “in life” together and contributing in our own ways. Incorporating the idea of "underneath it all,” this piece emphasizes the mindset that humanity is always working its magic in one way or another, hence the ocean above the hands but below the sailboats. Giving attention to small details, I filled the ocean with the faces of many people, communicating the notion that a rising tide lifts all boats, no matter their size or burden on the ocean’s surface. Beneath the surface is a circle filled with many small elements of different shape and size, a symbol of the small, good deeds and actions that combine to form a complete whole. "YOU DON'T NEED TO 'GO BIG' TO MAKE A DIFFERENCE, SMALL IS JUST AS POWERFUL." So use the hashtag (it's everyone's to share). Post the small things, and let us build this wall of feeling good about humanity together.